Our 2nd Anniversary release is an Double IPA heavily hopped with over 4 lbs/bbl of Simcoe, Magnum, Nugget and Ahtanum. This is a big, malty ale with delicate hop and rich malt aroma, complex hop flavor and sustained smooth hop bitterness. Hops are added from beginning to end during the brewing process and, like most (512) ales, this one is made using over 80% USDA certified organic ingredients. Not to be missed. 32 oz growler from Growlers. Pours an orange color, lightly hazy, with a eggshell colored head. Aroma was citrusy, but had a fairly predominant pale malt sweetness. Taste was citrusy, with a little pineapple, and a somewhat yellow cake-like malt sweetness. Good slick oily mouthfeel, with a medium body and good carbonation. Fairly tasty, but not quite wowing. On tap at (512) second anniversary party, 28 Aug 2010. Served in a ~12 oz. TWO glass. Small off white head. Lightly carbonated. Deep copper amber in color, slight haziness. Caramel and resin aroma. Nutty, malty and resiny. Some orange peel. Enough bitterness to balance the malt but expected a little more. Sticky body and mouthfeel. Alcohol warming but not hot. Finish is bittersweet, aftertaste is almondy and orangey. Seems more like a barleywine than a double IPA. On-tap at Opal Divine's Marina. Just happened to swing by after work and TWO as it was being tapped. First pull from the keg. Shows a deep, chestnut-copper body with the slightest hint of haze. The well-retained cap of custard head deposits thick rings of lace along the inside of the pint glass. Aroma doesn't knock my socks of with hoppiness, but instead packs nice balance of caramel malts and floral, piny hops. A bit biscuity as well. TWO could easily be mistaken for SN's Bigfoot (think 2 months old as the aggressiveness of the hops just start to fade). It's that good. Big notes of resinous, piny woodenness from the hops with some slight brandy-like booze. The malts taste equally as impressive, with honey biscuit and lightly toasted toffee. Full-bodied mouthfeel and a tightly-packed carbonation level. Never gets too heavy on the tongue, though, like some IIPA's tend to do. All in all, another well-crafted release from the talented (512). Not the hoppiest version of the style, but fans of Bigfoot will achieve beer nirvana. Definitely recommended. T like their ipa, orange citrus acidic, but a bit more sweet and a bit more sour grassy/tangy malt and more bitter finish. M medium body with some cloying hop oil. D good cascady DIPA, aggressive aroma and bittering hops, malt tanginess, and some slightly sour/grassy grain. On cask at the Anvil in Houston. My 1000 review. Lets see how this goes. A: Pours a dark and hazy reddish/copper color. A two finger white head forms with good retention. Plenty of sticky lace is left behind. S: Big resiny pine up front and center. Citrus and a strong bitterness. A syrupy sweetness tries to balance everything out, but it does not work. T: Again, a very large pine flavor up front. Resiny and syrupy. Big citrus and bitterness. A light sweetness and bready flavor lingers. Plenty of alcohol as well. M/D: A medium to full body. There is good carbonation and creaminess, but to much of a syrupy consistency. Lots of alcohol with a strong pine, resiny, and syrupy presents makes this hard to drink. Without a doubt a one and done for me. Pretty much a standard DIPA. Lots of resiny pine and bitterness without much balance or nuance. There is not a lot here that I would recommend. Had this at the Houston Flying Saucer during their 10th birthday party. Drank on-tap at the Flying Saucer in Addison. The beer pours dark reddish-copper color with a white head. The aroma is great. I get a lot of pineapple, oranges and pine notes. This is definitely going to be a hop bomb. The flavor is a lot of piney hops, but I also get some caramel malt and orange citrus notes. Medium to high bitterness. Not the beer for the faint of heart, this beer is coming at you with a lot of hop bitterness and hop flavor. Medium mouthfeel and medium carbonation. A very good Double IPA that I found very drinkable. My glass was gone before I knew it. One of the best beers I have tried from 512.
everything. The suds calm to a thin skin of lace and froth. Smell is very satisfying with loads of malts and tropical fruit. It's got the scent profile of a subtle hop bomb mixed with biscuit grains. Taste starts with those sweet heavy grains but quickly reveals it's hoppy underbelly. Pineapple and light grapefruit own this beer. Delicious. The mouthfeel is a little rough. I'm all for a hop bitter beer but I find this one to be prickly on it's approach. There is a nice pinch to the tongue that fades into a dry malt finish which is very nice. A smooth carbonation doesn't distract and really let's the flavors shine. All in all a damn fine beer. Tried at the Addison Flying Saucer, taking from short hand notes, so describtions will be short. First off: this was the end of the keg. I got about half a chalice of it, but I got that for free!!! So free beer is always good. Being the end of the keg, there was tons of head, but when that died off, the beer was burnt orange. I was in a bar, so my already weak nose can't give a review of this. The flavor doesn't have much of a hop bite, maybe this is because it's the end of a keg, but that was a disappointment. The rest of the flavor was a nice carmel malt flavor with a decent bitter finish. The mouthfeel was a nice solid body to it. 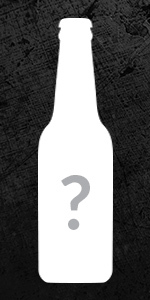 A: on tap it doesn't have a huge head on it, which the quickly dissipates. As one drinks it, TWO creates beautiful lacing all along the glass. It pours a beautiful dark amber color. S: sweet pine-y hops, and lots of them. There doesn't seem to be a lot of malt in the nose, but I don't consider that a problem at all. Taste: so much pine flavored hop flavor, I love this. It's not overwhelmingly bitter though, as there is a noticeable balance of pine hops and caramel hops. The hops linger on the pallet after drinking. Mouthfeel: carbonation seems to be spot on, with nice small bubbles. Drinkability: scary good. This is a dangerous beer that you just want to keep drinking. Growler filled at Freetail, first pour form the keg! A: Dark amber caramel color. Soft, dense, and creamy, white head. Good lacing too. Head dissipates but there is still a soft thin head left behind. S: Resiny pine and caramel malt. Fairly one dimensional for me but my nose isn't that great. Still a good double IPA, meaning lots of pine and lots of caramel. No real alcohol in there which is good. T: Lots of pine. I didn't get as much pine in the aroma as I do in the taste. Sweet pine and caramel. It is kind of like eating a pine tree, or at least it's needles. Slight alcohol in the finish. M: This is on the fuller side for a Double IPA in my book. It does however have a good dry finish. D: Very good. I really like this beer but I wouldn't say it is a great double IPA. I just think more hop aroma is needed and less body. If you can get it go for it, but don't break your back. Man, Goose Island has me programmed or somethin', 'cause I kept referring to this as "312 DIPA" all night... Anyway, this stuff pours a mostly clear sunset amber topped by a finger or so of off-white foam. The nose comprises bright melon, grapefruit zest, sweet caramel, light honey, and a twinge of pine resin. The taste brings in more of the same, with some fruit rinds tossed in, the pine taking on a more needle-y character, and the caramel drying out a bit, though still retaining its decent amount of sweetness. A vein of alcohol is perceptible, but it maintains its furtive personality. The body is a light-leaning medium, with a light moderate carbonation and a drying-ish finish. Overall, a solid DIPA, one that tries to achieve a healthy balance in there, while still hitting you with plenty of hops. Not bad. Had this one on tap at Lakecreek Alamo Drafthouse. Served in an 11 oz tulip. Very pretty orange/copper color with a white head that left pretty decent lacing. Got a lot of caramel malt and a good bit of citrus hops in the scent. OK, but certainly not nearly on the same scent level as the likes of Maharaja or Hercules. Taste followed the nose with orange hops and a caramel base. I felt the combo was pretty spot on, but it was pulled back a bit...was hoping for more wallop! Had a medium body, not as sticky as I like most of my DIPAs; a little more carbonation than I expected as well. It certainly did a good job of masking the 9% abv. Overall, an enjoyable beer, but not on par with the many other DIPAs one can get there hands on around here. I prefer the 512 IPA to this one. Poured into a (512) TWO nonic tumbler at the anniversary party. Appearance: Copper orange appearance with a white head of about a finger thick that fades into a thin lacing on the top. Aroma: Grapefruit and hints of tropical fruit, in my opinion a little more diverse then their IPA. Taste: Strong bitterness upfront, which was enjoyable, with a nice malty balance and a bitter lingering finish. The flavor profile consists of grapefruit, pine, and slight citrusy flavors. Mouthfeel: A little high on the carbonation, with a nice dry finish and lingering bitterness. Overall: I enjoyed this offering more than I did their IPA. I think the diversity in the hop profile and the fact that it didn’t taste like grapefruit juice as appealing to me.